Occupied since prehistory by Carib Indians, the island of St. Martin was squabbled over by colonial powers for decades before being partitioned by the French and Dutch in 1648, and it’s remained under dual sovereignty ever since. 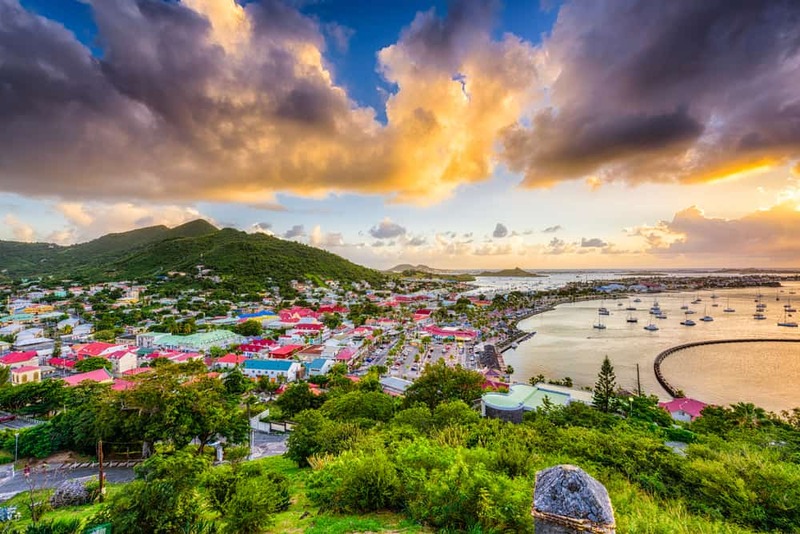 Lucky visitors to this unique island paradise will observe many cultural influences on both sides (the French St. Martin, and the Dutch St. Maarten), with everything from French haute cuisine to the novelty of hearing the Dutch language in a tropical setting. Natives of St. Martin can trace their roots to Africa, the Netherlands, andFrance. You’ll be hard-pressed to identify the border between the Dutch and French sides, as it’s pretty much imperceptible, even though they are technically different countries sharing one small island with a total population of just 69,000 people. 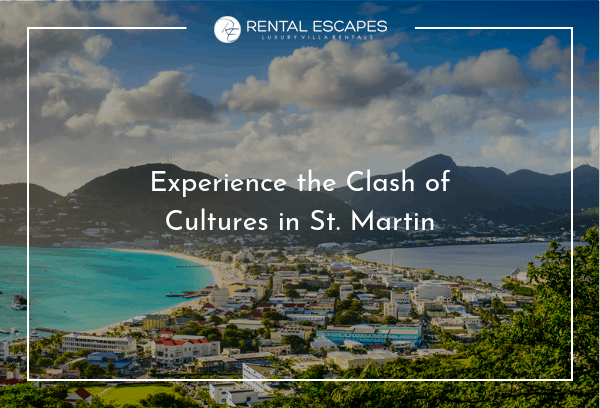 Although the two sides have many similar culturalinfluences, they are each still verydistinctive.To add to this already fascinating cultural fusion, immigrants from around the world have flocked to St. Martin in the last 20 years, outnumbering the native Creole population. Today, 70 different nationalities coexist there, making for a veritable melting pot and a true haven for history buffs, as well as anyone who simply errs on the side of cultural curiosity! Although Dutch and French are the primary languages on the island, English is also widely spoken, making the island highly visitor-friendly. Other languages spoken include an Afro-Caribbean French-based patois, as well as Spanish and Papiamento (a dialect of the former Netherlands Antilles). Chefs at the island’s gourmet restaurants combine local traditions and ingredients with European technique. You have to hand it to the French—they take their food very seriously, and as such, French fare is prevalent, even on the Dutch side. There is also a West Indian influence, of course, adding a touch of Creole spice to most dishes. Visitors love the harmonious blend of flavors, annatto spice, squash, fish, and lobster. 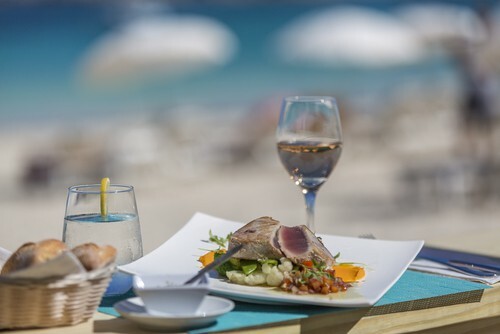 St. Martin’s incredible French and Creole cuisine serves as a real draw for foodies worldwide, and in 2014, Conde Nast Traveler listed it as one of the top Caribbean islands for food. The region’s unique musical styles cannot be ignored, nor should they be! The original rhythms of St. Martin are undeniably African and use a lot of drums. If you love to dance or take in live music, you’re in luck. From calypso to merengue, soca, zouk, and reggae, expect a good time. And with a real abundance of eventstaking place throughout the year, it’s likely there will be one worth attending during your stay. For example, Carnaval, a multi-day all-out street party, which occurs throughout the Caribbean, is celebrated by St. Martin in February, and St. Maarten in April. Book your luxury vacation rentals in St. Martin and St. Maartento begin exploring this unique Caribbean paradise today!